Fresh Maine & PEI Mussels! These Fresh Caught & Fine Eatin' Maine Mussels are very versatile and easy to prepare! Steamed, over Pasta or sautéed, you can't go wrong! Fresh Little Neck Clams • Fresh Steamer Clams! • Fresh Oysters! 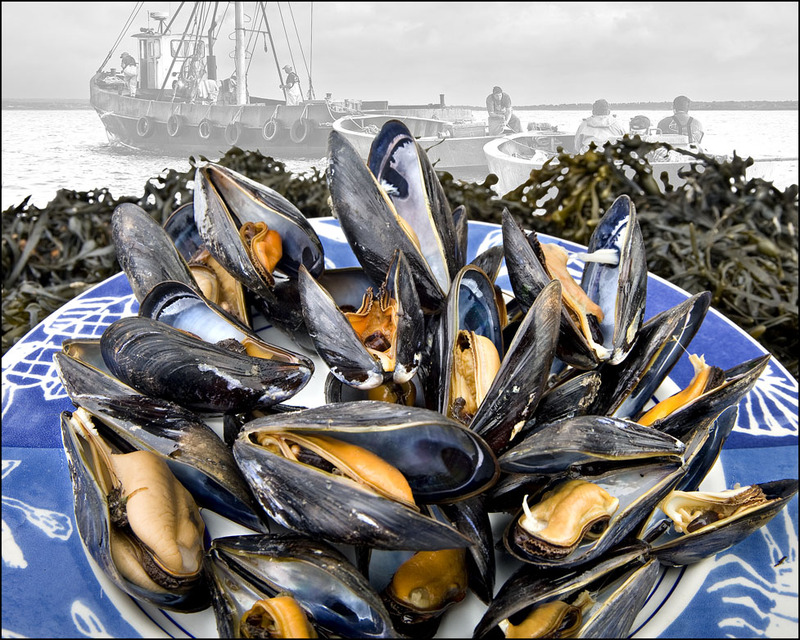 Our Fresh Large Maine Mussels Are Harvested Daily And Brought In Fresh With Pride By The Local Fisherman! 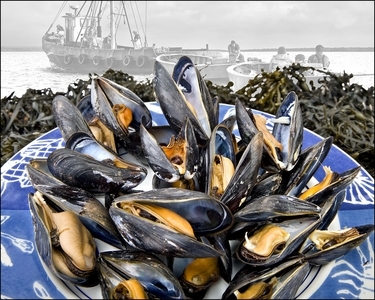 Mussels are shipped live in the shell. Note: One order is a quart. A quart is one and a quarter to one and a half pounds. There are typically 15-20 mussels per quart. Order Fresh Mussels By 10am EST, And Enjoy Them For Dinner Tomorrow!Our Mussels Also Make A Great Gift Idea For Your Favorite Seafood Lover! How Easy Is That! Our order arrived mid afternoon yesterday, as promised, and everything was alive and ready for preparation. Amazing, when you think of it, as we are 2 1/2 hours from Appleton, WI, on a remote peninsula. The mussels ALL opened upon steaming, and were just delicious...everyone thought they were the best ever! Ditto for the lobsters...they were perky before steaming and tender and delicious when served. Bravo, we were very impressed by the quality and freshness of your shellfish, we will definitely use your services in the future. Everything came fresh and ontime, and we had a lobsterguy feast! I purchase a lot of fine food on the web, but we now have you bookmarked! 2 thumbs up Capt. Tim!